This coworking space is set up in The Pop Factory. We've got brand new desks, partitions, a day time cafe, computers available (Macs and PCs,) a great meeting room and plenty of space for an event or launch. Of course there's toilets, not forgetting endless tea, coffee and super fast WIFI with parking nearby. Indycube Porth is open from 9am – 5:00pm Monday to Friday. 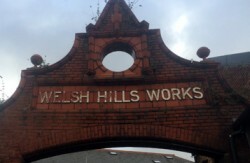 Street: The Factory, Welsh Hills Works.